Does the S stand for small? Cut-down flagships are all the rage and we've already seen the HTC One Mini 2 and Samsung Galaxy S5 Mini surface this year, so it's no surprise to see leaks surrounding a paired down LG G3. The latest leak comes via MyLGphones, which claims to have a German manual for a handset called the LG G3 S and sporting a model ID of LG-D722v - that matches the D722 code which passed through the FCC and export site Zauba recently. According to the leaked user manual the LG G3 S sports a sizable 5-inch, 720p display, 1.2GHz quad-core Snapdragon 400 processor, 2GB of RAM, 16GB of internal storage, 8MP rear camera, 2MP front snapper, 4G, NFC and a 2540mAh battery. There's also with Google's Android 4.4 KitKat onboard. That's hardly an awe-inspiring set of specs, but it does mean the LG G3 Mini falls in line with the mini HTC and Samsung - apart from screen size. In fact the screen size is rather surprising, as previous rumours surrounding the G3 Mini suggested it would either stick with the same 4.7-inch display of the G2 Mini, or perhaps reduce its size to 4.5 inches to match the competition. 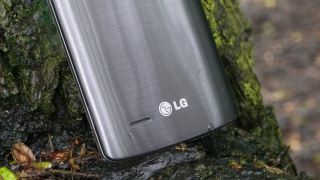 At 5 inches, the LG G3 S would be far from "mini": the HTC One M8 has a 5-inch display, while the Samsung Galaxy S5 is only a shade larger at 5.1 inches. There's no word on a G3 S release date or price, although with the volume of leaks at the moment we can't see it being too far off.